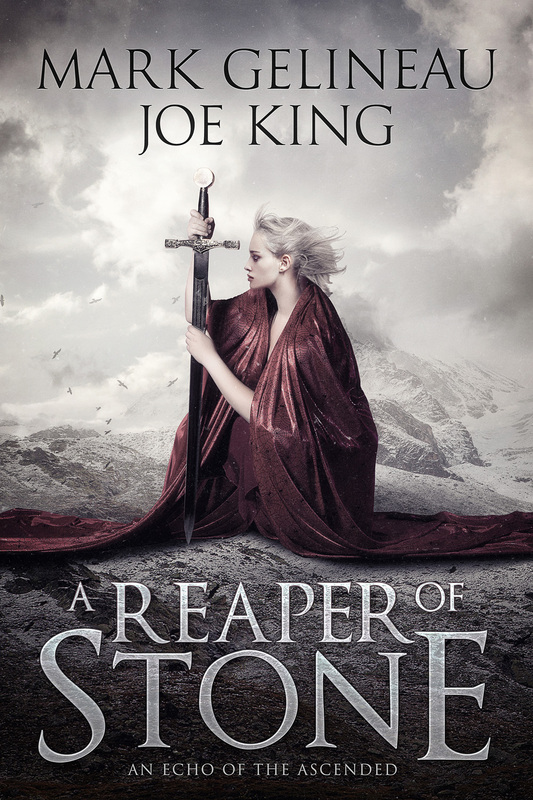 Goddess Fish Promotions is organizing a Virtual Book Blast Tour for A REAPER OF STONE by Mark Gelineau and Joe King, a fantasy available September 15. The Book Blast Tour will take place on Friday, September 18, and is to promote the fact that the book will be FREE for 5 days. This tour will not include interviews or guest blogs; however, a blurb, excerpt and author bio will be provided to every host for inclusion on their blog. A PDF copy of the book is available for review. The authors will be awarding a $10 Amazon/BN GC to a randomly drawn winner via rafflecopter during the tour. A Lady is dead. Her noble line ended. And the King’s Reaper has come to reclaim her land and her home. In the marches of Aedaron, only one thing is for certain. All keeps of the old world must fall. Elinor struggles to find her place in the new world. She once dreamed of great things. Of becoming a hero in the ways of the old world. But now she is a Reaper. And her duty is clear. Destroy the old. Herald the new. 12: 3 Partners in Shopping, Nana, Mommy, and Sissy Too!